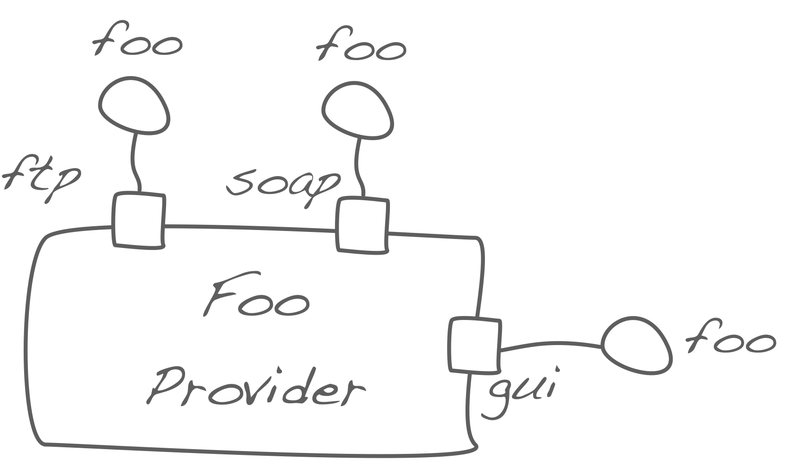 Question D-6: What can I use UML ports for? Ports can support the detailed mapping of internal resp. external view of white- and blackboxes: Use ports to describe which internal building block of any whitebox communicates with an interface of the corresponding blackbox. 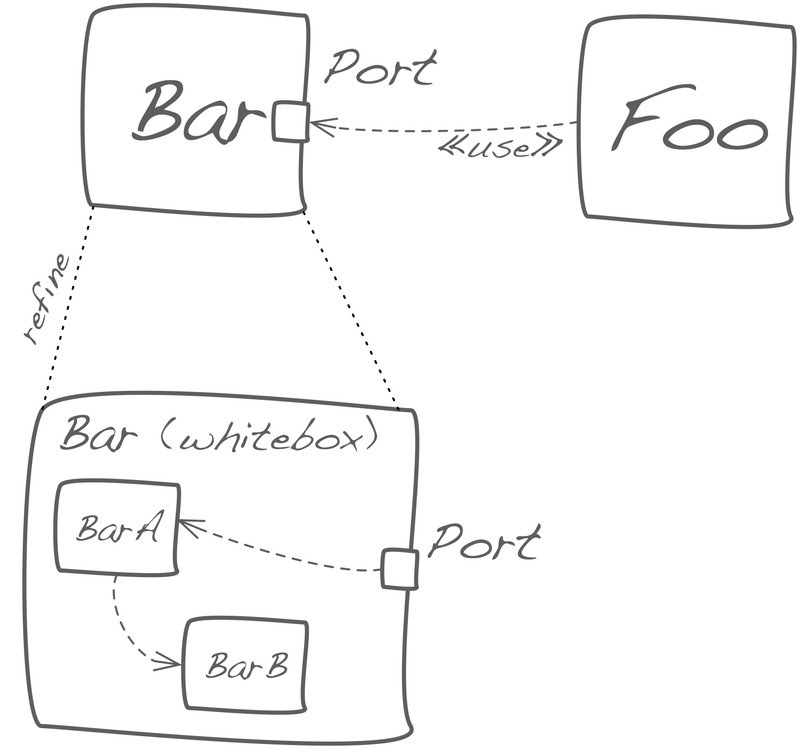 In the following diagram, Foo communicates with Bar over a port. In the refining whitebox, the component BarA handles that interaction. In hardware- and deployment diagrams, ports can represent input/output channels, network adapters, virtual networks, IP-addresses or similar .